Ear Care is the primary specialty of an ENT (otolaryngologist). An ENT doctor is uniquely trained to treat disorders affecting the ears, hearing, and balance system. Dr. Scotch is trained in both the medical and surgical treatment of ear infections, hearing loss, and ear noise disturbance (tinnitus). 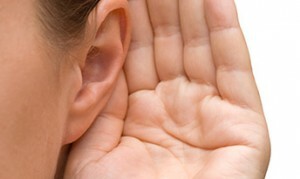 We have an audiologist in our office to provide hearing testing and hearing aid services. Ear wax (also called cerumen) is naturally made by the body to protect the ears. Patients can produce different quantities of ear wax, and it may become necessary to get your ears cleaned if you have a wax impaction. An ENT physician can clean your ears safely with special tools. Do not stick anything in your ears (such as cotton swabs or ear candles) to try to clean them as you could cause damage. Getting an object stuck in your ear can happen in both children and adults. Young children can insert things such as beads, beans, or toys into their ear, and adults can get things like an ear bud stuck in their ear. Dr. Scotch can safely remove these objects using various methods depending on the type of object and the age of the patient. If you suddenly lose hearing in one or both ears in one day or over the course of a couple of days, you should see an ENT physician immediately. This issue is considered an ENT emergency. Initiating early treatment is the best chance for successful hearing recovery.